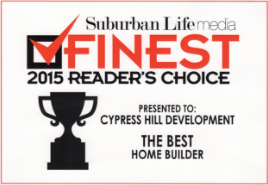 Cypress Hill Development has been providing custom home builder services to Elmhurst for over 15 years. We are a locally family-owned and operated custom home builder company that happily serves the Elmhurst community. 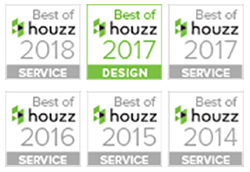 Our team of professional architects have the reputation as one of the premier custom home builder companies in all of DuPage County. At Cypress Hill Developments, we tell our clients that we are in the business of building your dream home into a reality. A custom home builder at Cypress Hill Development can provide you with a home that is not only a home, but a solid investment as well. For more information on the custom home builder services available in Elmhurst, please call Cypress Hill Development today at 630-241-9330. You can also get in contact with one of our knowledgeable representatives by simply filling out the online request form on this page. When you work with the professional custom home builder at Cypress Hill Development, you are working with true artisans who are skilled in the design and construction of beautiful homes. You will never get a cookie-cutter or mass-produced home from a custom builder at Cypress Hill Development. A custom home builder can provide our clients in Elmhurst with a contemporary home that can stand the test of time. Our custom home builders use the only highest quality materials available to build your home. When working with a custom home builder, we believe it is important for our clients to give as much input into the planning process as possible. After all, our clients need a home built that is going to perfectly fit their needs and lifestyle. That is why we take a personalized approach with our customers so our custom home builder can craft your perfect home in Elmhurst. You can rely on our custom home builder because you will be working with the same team throughout the entire home design and build process. At Cypress Hill Development, we believe that working with a custom home builder in Elmhurst does not have to be a wildly expensive process. We offer our custom home builder services at a reasonable price and commit ourselves to providing clients with the best customer service experience possible. 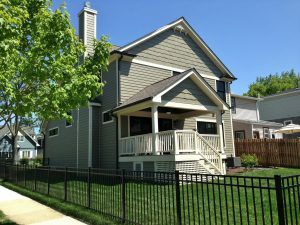 To find out more about the services of a custom home builder in Elmhurst, please call Cypress Hill Development today at 630-241-9330. You may also reach out to one of our knowledgeable representatives by filling out the online request form on this page.